If You Died Today, Would Your Family Be Prepared? Pretty depressing thought, right? I get it, I do. All I can tell you is that it is far less depressing than having your family sitting across from me sharing how you always planned to get a Will and powers of attorney put into place, but just hadn’t gotten around to it. The problem is, you just never know when an unexpected illness or accident may occur. According to recent statistics in Texas, 1 person is killed every 2 hours and 29 minutes in a traffic accident. One person is injured every 2 minutes and 12 seconds! If you’ve driven on 635 during rush hour, you know this is true! A sudden heart attack takes about 325,000 adult deaths every year. This list goes on and on of how no one is immune from illness or death. So when is the best time to plan? NOW! I much prefer a call to get your Will drafted than a call from your family that it’s too late. Even the seemingly simplest of situations can become a huge ordeal that could be avoided by some basic planning. 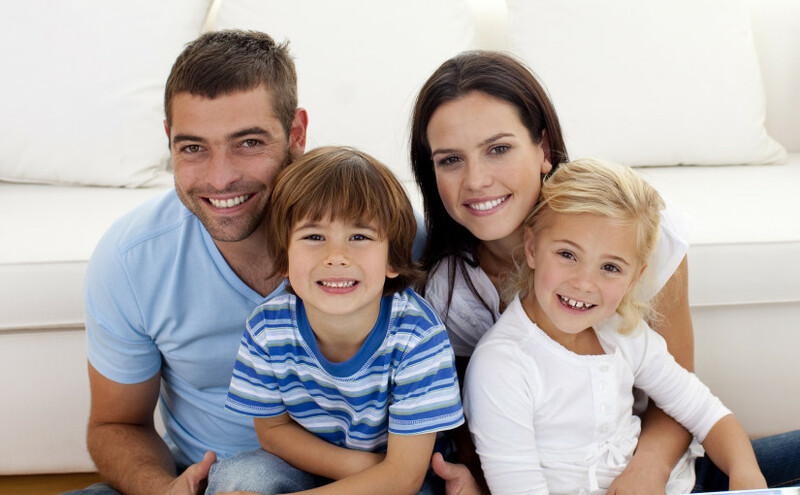 The court will determine the trustee of your children’s inheritance. The state determines who inherits your estate. The court will appoint an executor for your estate. Your court appointed administrator may have to post a bond to guarantee that s/he is responsibly managing the money the state grants to your underage children. In second marriages with children, a new spouse may become partners with stepchildren or possibly an ex-spouse in handling your estate. Don’t let this happen to you…don’t put your family through the pain of having to bear avoidable costs and complications during a time of tremendous grief. You’re out of excuses and the time is now. Get your Will and other planning in place today! And remember: If YOU Don’t Have a WILL, the State of Texas has One for YOU! What Should I Do After I Sign My Will? When clients walk out of my office after they’ve signed their Wills and powers of attorney, I often imagine they go home and put their folder in a cabinet or safe and then don’t think about it again. There are a few things; however, I recommend to my clients that they should do once they’ve signed their estate planning documents to ensure their family and loved ones are prepared. Tell your Executor and Agents. Inform those you’ve named as your executor, medical power of attorney, and other agents of their role and tell them where you keep your paperwork. You will also want to ensure that they have access to your Will Memorandum mentioned below. Decide the best place for you to keep your documents. I generally recommend keeping your documents in a safe location at home – preferably a fire-proof safe. Some suggest keeping your documents in a safe deposit box because it will protect the documents from theft, fire, accidental loss, and most other types of damage or harm. A potential problem, though, is getting it opened after your death. If you decide to keep your estate planning documents in a safe deposit box, consider naming a family member or your executor as a joint holder on the box. That should simplify matters following your death because someone will be able to get into the box without delay. However, if you and the person you name as a joint holder die at the same time, we are back to square one. Additionally, you may need access to the documents when the bank is not open. Provide a Will memorandum with vital information and instructions. There is no magic form to complete, but I do provide all my clients with both a hard copy and electronic version. (CLICK HERE FOR OUR DOWNLOADABLE FORM). The Will memorandum provides useful information that your Will or power of attorney alone will not provide, such as where you keep important paperwork (deeds, birth certificates, financial/banking information), people to contact (CPAs, financial planners, attorneys, doctors, friends, family), and your user names and passwords. Additionally, the Will memorandum allows you to make specific bequests of your personal effects. The will memorandum allows you to change your specific bequests without having to prepare a codicil (amendment) to your Will. You may add and cross-out items to this list as often as you wish. Please understand a Will memorandum is not legally binding, but it will greatly assist your family and loved ones with handling your affairs and fulfilling your wishes. You will feel a sense of relief and peace of mind once you sign your Will, and you should! However, if your goal is to truly make a difficult time as easy as possible, I suggest you take these other steps to make sure your family and loved ones are as prepared as possible in the event the unexpected happens to you!